Sharon Tarrant, mother of the alleged terrorist Brenton Tarrant, from the Christchurch tragedy, exited her house near Grafton, New South Wales a little before 12 pm on Monday, 18th March 2019. Sharon Tarrant was seen exiting from her home after a three-hour long search was conducted at her residence by the Australian Federal Police. 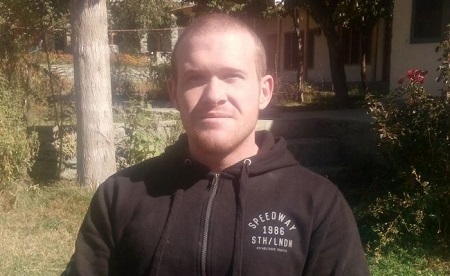 The mother of the terrorist Brenton Tarrant was spotted for the first time after her son, Brenton allegedly shot down 50 mosque-goers in two respective mosques in Christchurch on 15th March 2019, Friday. Mother Tarrant was seen exiting her premises while dressed in a blue and Pink floral blouse. She was escorted by a middle-aged and was surrounded by police detectives. Sharon didn't respond to any news reporters and questions while she made her way towards a police vehicle. Authorities have reported that she is currently staying at an undisclosed location along with her daughter Lauren Tarrant since Friday. Earlier today on Monday, heavily armed police authorities were seen making a thorough inspection of Tarrant's Dunedin home. Officials believe that this house is the place where all the plannings for the terrorist attack took place.